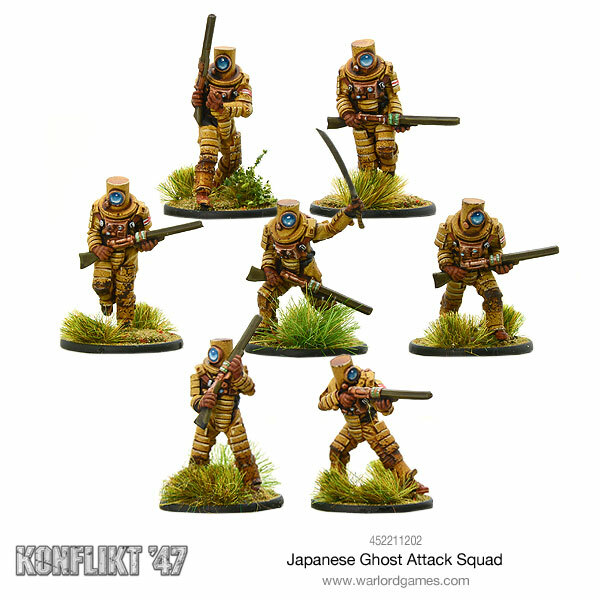 The military implementation of this research – the Ghost Attack Squads (Yurei Kogeki-Tai) – have proven highly capable of surprising Allied forces, attacking from unlikely directions or through the heaviest fortifications. Armed with rapid-firing compression rifles, a squad of Ghost soldiers can emerge from cover and lay down a significant weight of fire before retreating back through terrain, making any attempts at pursuit impossible. Granted access to the mass of German Rift-tech development, Japanese scientists were able to make significant advances in new areas of technology. 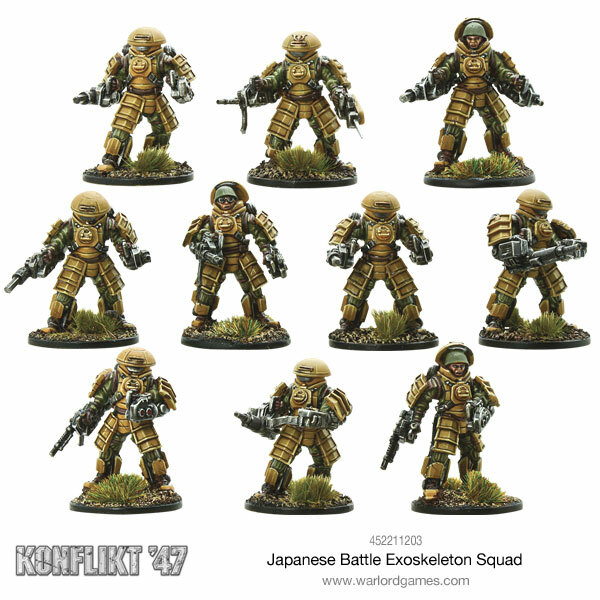 One such field was that of exoskeletons intended to enhance the endurance and speed of the fighting soldier, which rapidly led to the creation of armoured battle-exoskeletons that were deployed by the Imperial Japanese Army in mid-1946. The advent of Rift-technology has allowed Japan to close the gap on the Allies in some areas. Although increasing industrial capacity hasn’t been easy, the study of the Rift messages provided by Germany has allowed Japan to create a family of rapid firing compression weapons. 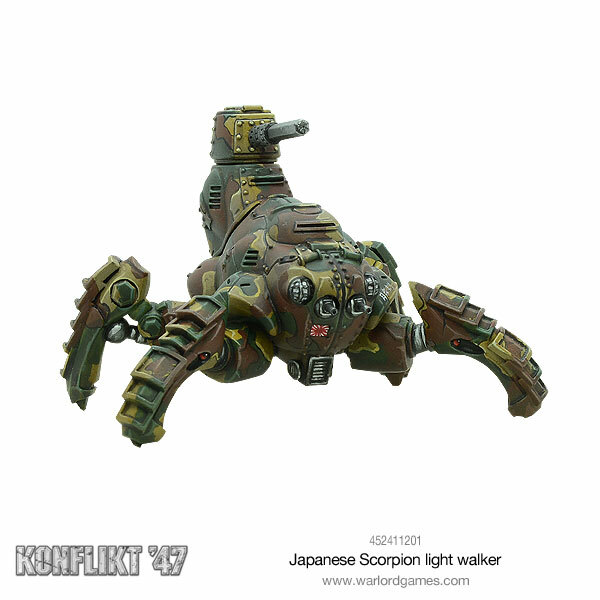 Nicknamed the Sasori (‘scorpion’) by its crew, the name is now commonly used by both Japanese, Chinese and Allied soldiers. 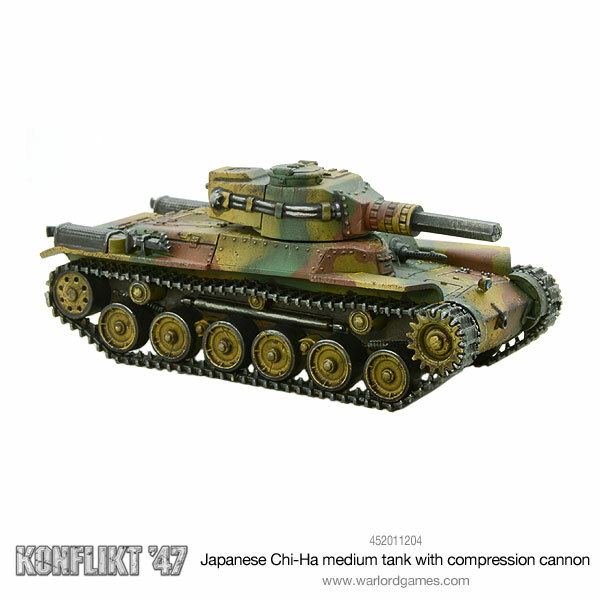 The earliest versions of the Type 6 were armed with just a pair of MMGs for anti-infantry protection.